First, a little history on how we got here. 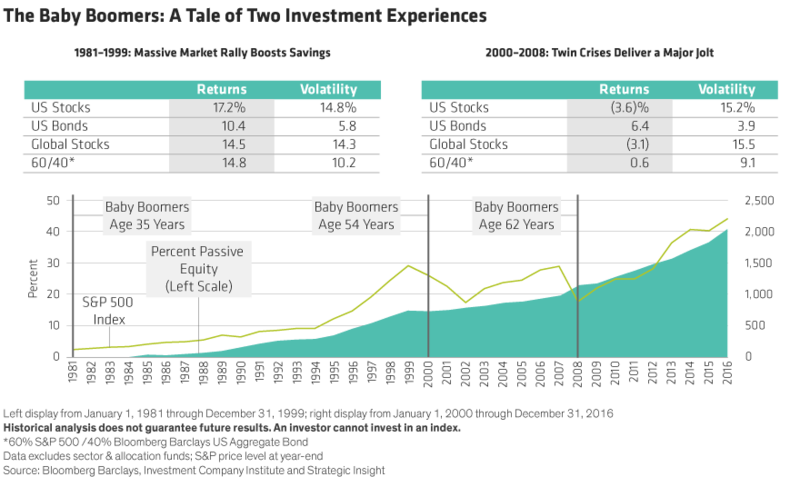 In the early 1980s, the baby boomer generation started to enter its peak earning years—and stepped into the biggest equity bull market in history. From 1981 through 1999, the S&P 500 Index delivered annualized returns of more than 17% (Display). More earnings and a wealth-building rally created a winning formula for investors.